I deliberately wrote for Youth Age 15+ and up. It is the youth who are most likely to survive the terrible war we are bringing on ourselves. They also might respond best to the very real Gospel Light in my Religious Fiction Novels. It seems impossible to imagine the future path of Mankind. But I have gone ahead and seen what the Prophets foretold. I have created people who are dead and given them voices, in the future. What are they doing, beyond the Veil of Death? 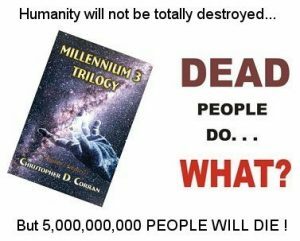 Humanity has 1000 years to run: the “Third Millennium”. We are in the Third Millennium NOW! This shocking novel is available for download NOW. Only $3.04 USD, via PayPal and an instant download. 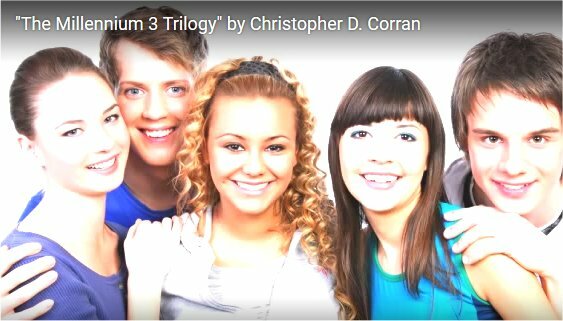 This entry was posted in Chris and tagged download, ePub, Me3 Trilogy, Youth. Bookmark the permalink.